Wasn't really sure where else to put this topic. could be a bunch of things i guess. does traktor sound ok when *not* going via asio4all? ASIO4ALL uses the volume set in the volume mixer in the system tray. Make sure the volume of the device you're using is up. Last edited by Onimode; 10-24-2011 at 12:04 AM. Zestoi, my internal soundcard does not work properly with Traktor to begin with, which is why I had to get ASIO4ALL just so it would work properly. but now all of a sudden its got some weird issue, however the issues im having with my internal and the one im having with ASIO are seperate. However I know there's an issue with asio because after I play something in traktor, i close down the program and simply play it in itunes or vlc or whatever works without adjusting anything as far as volume goes, and it sound as it should. Omnimode, could you elaborate, do you mean the volume control and faders and gains and what not? because those are all fine. and I'm not running an external device when this issue occurs. Found the problem, in Traktor under audio settings, my internal soundcard was set to asio4all, not my actual internal soundcard. However in the process of troubleshooting, I attempted to uninstall American Audio ASIO manager (because I got a vms4 and then these problems started happening so i assumed that mightve been it). Anyway, I'm hoping that program didnt have anything to do with the issue because if so, then I'm going to have a very unfortunate time doing large set's vs compact mobile sets, which I'd like to be able to transition between both. Last edited by chaomocha; 10-23-2011 at 04:14 PM. 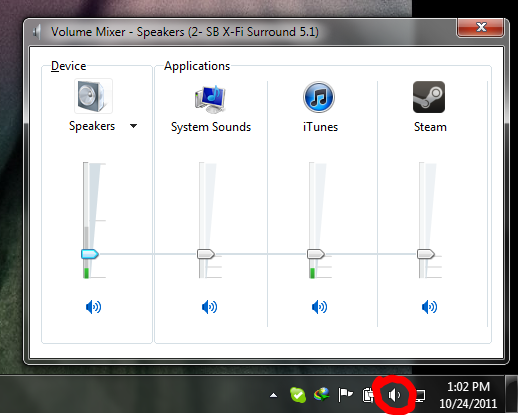 When you have Traktor running, ASIO4ALL uses the volume of the device set in the volume mixer. I'm also assuming it's the same for older Windows OSes.